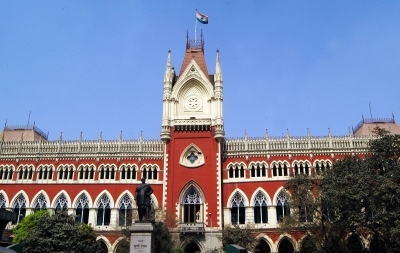 Kolkata April 17 (IANS) The Calcutta High Court on Tuesday again extended. by a day till Wednesday. its stay on West Bengal s Panchayat election process in view of the ongoing hearing of a case related to the polls. A single-judge bench of Justice Subrata Talukdar will hear the arguments by both the parties again in the first half on Wednesday. Justice Talukdar had on Monday extended the original stay on the election process till April 16 by one day till Tuesday in view of an appeal filed before a division bench of the court against the stay. However the division bench of Justice Biswanath Samaddar and Justice Arindam Mukherjee on Monday evening disposed off the appeal filed by the ruling Trinamool Congress and the State Election Commission stating it did not want to interfere with the case at this stage as it was already pending before the single bench. During Tuesday s argument Trinamool counsel Kalyan Banerjee argued that the petitions filed by Bharatiya Janata Party as well as by Communist Party of India-Marxist and others accusing the state ruling party of conducting large scale pre-poll violence in the state and demanding fresh election process removal of the State Election Commissioner and imposition of para-military forces during the elections are not at all maintainable. Citing several judgements passed by the Supreme Court he said the judge is not bound by the court s order. However if there is a violation of the order the court can decide appropriate proceedings he said adding that this does not give the court any jursidiction to interfere in an ongoing polling process. The opposition parties have moved the court accusing the Trinamoolof unleashing massive pre-poll violence against their party workers to prevent them from filing nominations for the polls ever since the process began on April 2. The parties are also aggrived with the SEC after the poll panel withdrew its earlier order of extending the filing of nominations by a day within a few hours of issuing the order last week. The panchayat elections were originally scheduled for May 1 3 and 5 with the counting of votes slated on May 8.